Not just a Humidifier, But a Piece of Art! Are you tired of all the same looking humidifiers that seemed to be purchased from a doctor's office? 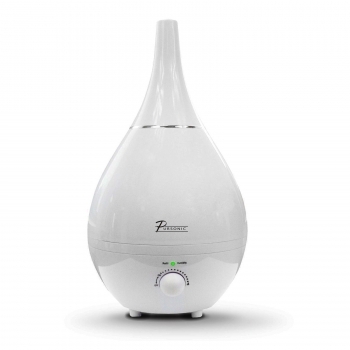 With its attractive design, the Pursonic ultrasonic humidifier provides moisture-rich air comfort well being in your home. It's a perfect fit for any room with dryness in the air. You can easily adjust the variable mist control for the perfect moisture level that's right for your family. Designed to operate quietly, the humidifier provides a cool mist without any distraction from a noisy fan. Ultrasonic technology means that there are no expensive replacement filters to locate and buy. Simply top off the easy-fill tank with water and get up to 30 full hours of running time. If the tank becomes empty, the humidifier will automatically shut off for safety until the tank is refilled. With the Ultrasonic Humidifier, you'll be able to provide a healthy air environment year round, and temporarily increase the humidity level n your room.